On the event of the Indian National Film Awards on Thursday night, the late heroine Sridevi, along with many other people in the entertainment industry, was awarded her first national award for Best Actress for her role as Devki Sabarwal in the 2017 crime drama Mom. 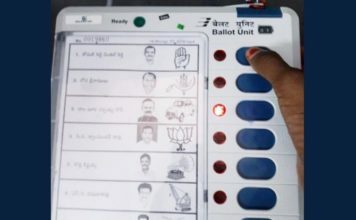 The movie, directed by the late Ravi Udyawar received much recognition and praise for its unique plot. Sridevi’s role as a vengeful mother was so powerful that India could not help but honor her role. 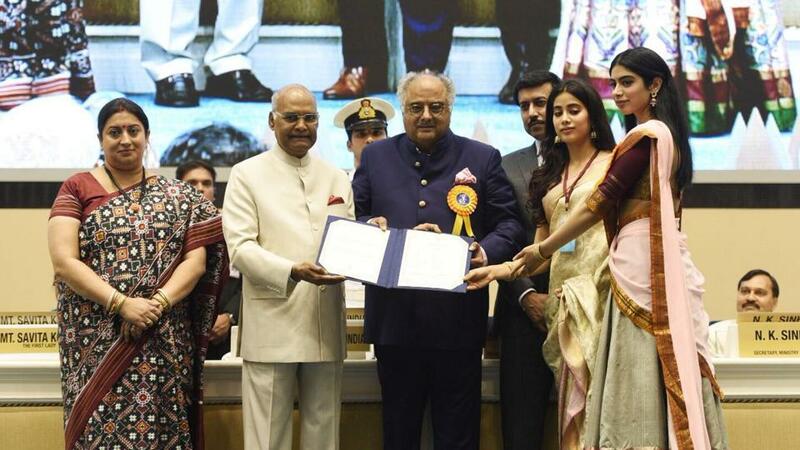 On the 3rd of May, husband of the late actress Boney Kapoor accepted the award in the place of the late Sridevi and expressed his sincere gratitude as well as sadness at the fact that his wife could not be present to accept this prestigious award. Their daughters Jahnvi and Khushi were present at the venue as well, with the former wearing a sari which had been designed by Manish Malhotra for her mother, prior to her untimely death. 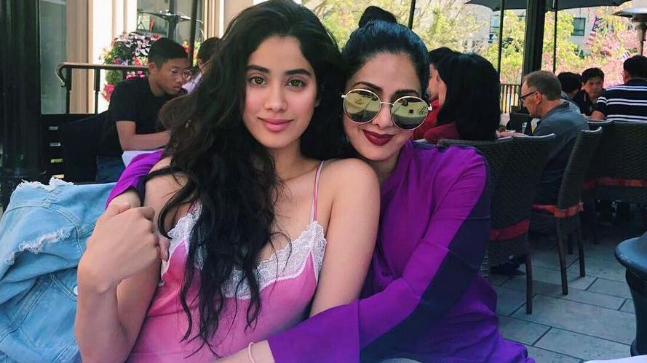 Boney Kapoor stood on the podium for a long time as he gave a heartfelt message to all the young ladies of India who had admired Sridevi and appointed her as their idol. Mr. Kapoor expressed his wish for those ladies to not be heartbroken; to rise up and become as dedicated and hardworking in their profession as the beloved actress herself was. Boney Kapoor moved on to express his utmost regret at his wife not being able to receive the precious award with her own hands at the podium. Mr. Kapoor finally ended his speech with a ray of hope as he promised that Sridevi’s work was eternal, and her spirit would always stay here, alive and well, through all of our hearts. 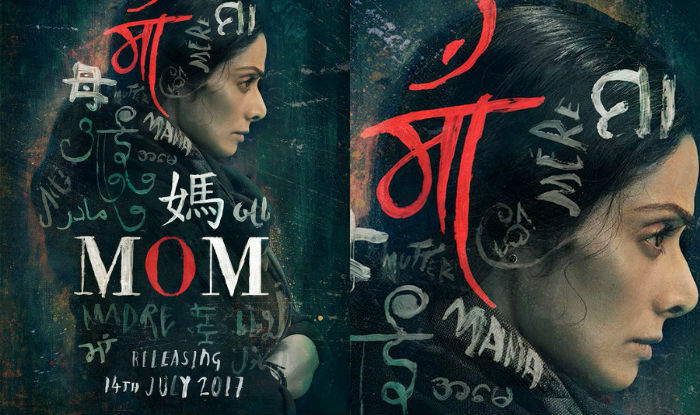 ‘MOM’ Movie Reviews: Read what Critics experienced while watching it!